Facebook has launched its exclusive feature of video calling powered by Skype. A few days ago Skype did the same featuring deeper integration with Facebook where you can make video calls to your Facebook friends. 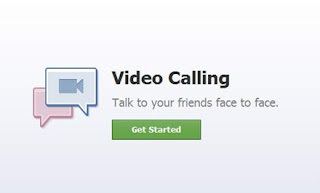 You may use Facebook video calling using your web browser Mozilla Firefox, Google Chrome, Internet Explorer or Safari. But Facebook new feature didn’t support the Apple’s next generation OS X Lion and by this Facebook put those people in dark whose using Apple’s new generation Mac OS X Lion. 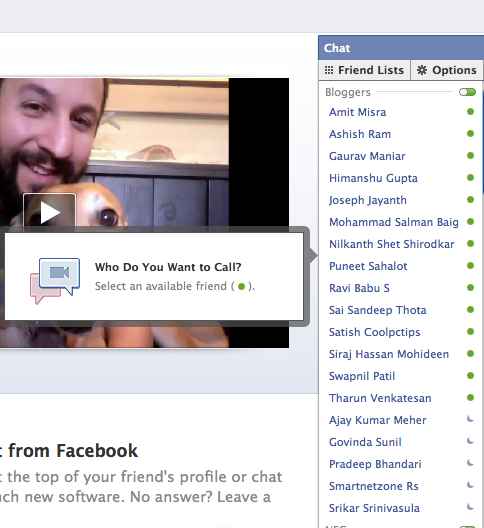 Have a look at the simple how to guide to experience the Facebook Video Calling. Select a friend from your chat list whom you want to call. Click on the video icon above the pop up chat window. A pop up window will come up asking to download a plugin named FacebookVideoCallSetup_v1.2.199.0.exe. Download and Install the plugin and start calling your friend. due to some reasons the feature has been disabled for Mac due to its unofficial nature. Below are a few steps taken from Best Techie for enabling video calling for Mac browsers. Under Advanced tab enable the developer menu. After clicking you will see a new menu option on the menu bar labeled “Develop”. 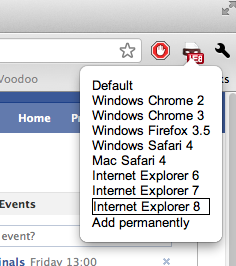 Click on this and you can change the user-agent to something that will work with the Facebook Video Calling Service. You can change the user-agent via a simple command in terminal. When Chrome is closed type the following in terminal. 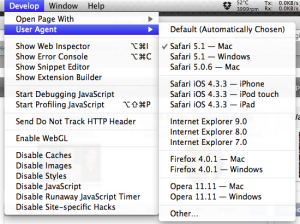 Download the User Agent Switcher plugin for Chrome, that will allow you to switch the user-agent directly within the browser. Download User Agent Switcher 0.7.3 and select the user-agent from the image below. Once you have modified the user-agent you may also need to enable Facebook Video Calling for the first time. To do this simply navigate to http://facebook.com/videocalling and click get started. 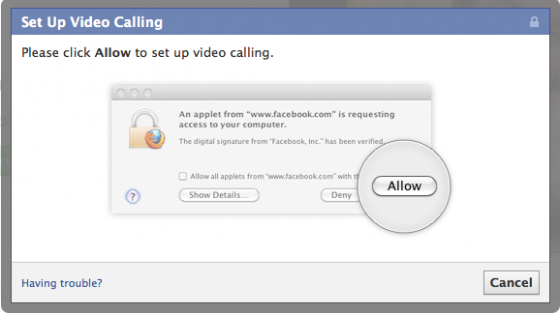 0 Respones to "How I Setup Facebook Video Calling In Mac OS X Lion"